How would you react if I were to tell you that you or your child were forced to participate in experimental vaccine trials? A paper published by the American Medical Association’s Virtual Mentor wants to do just that. It seems that the amount of current participants in current experimental vaccine trials is a bit too low, so why not create a federal law forcing each person to need to “opt-out” of experimental vaccine trials in an attempt to better society? The proposed law is lunacy, to say the least, stating that individuals must make a “mandated choice” to participate in such experimental trials. People shouldn’t be automatically enrolled in experimental trials or need to state in advance their decision to “opt-out”. Along with the law will come a customer list for big pharma, where each participant’s information will be shared with the pharmaceutical companies in order to gather trial and field test data. Of course this isn’t so different from how things operate now, where individuals are enrolled into big pharma’s database even if you exempt your child from vaccination. But if big pharma can’t produce enough positive data from those who actually want to volunteer for introducing a new product to the FDA for approval, they may just try to force people to participate or use a segment of the population that is ignorant to the laws surrounding the trials. What happens if these experimental vaccines cause harm? There are laws already set in place that essentially give vaccine manufacturers immunity to legal repercussions. That is to say that if your child is harmed from a vaccine, the vaccine manufacturers are not financially or morally responsible. The National Childhood Vaccine Injury Act of 1986 protects vaccine manufacturers from any liability. Another example of similar medical and political tyranny is when a document was signed by Secretary of Health and Human Services, Kathleen Sebelius, where both vaccine makers and federal officials were granted complete legal immunity from any repercussions — regardless of whether or not the case is valid. Signed in July of 2009 by Sebelius, the document drew upon the provisions of a law signed in 2006 created for public emergencies. Granting swine flu vaccine makers legal protection, and establishing a compensation fund, the legislation allows for vaccine makers to virtually disregard consumer safety. 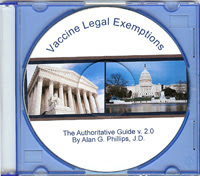 It is interesting to note that these laws are still needed even though health officials and vaccine makers tout vaccines as being 99.99% effective. But it isn’t so surprising, given the countless occasions in which vaccines have ruined both the lives of children and parents. Furthermore, previous attempts to test the anthrax vaccine on unsuspecting participants went sour after the public was alerted to the shocking history behind the anthrax vaccine. In a 2007 report by the CDC in conjunction with the Vaccine Healthcare Centers of the Department of Defense and the watchdog group Government Accountability found that ”between 1 and 2 percent” of vaccinated military personnel experienced ”severe adverse events, which could result in disability or death.”As a result of public outrage, the government called off the testing. What would even happen if there were complications in future trials? Going by past history with other experimental vaccines, severe complications would probably just be hidden. The controversial trials of experimental AIDS vaccines that led to the loss of innocent lives have already been ignored by mainstream scientists and reporters. Even the scientists responsible for the deaths covered up the situation, failing to report the fatalities of their trials in order to prevent the public from finding out. Giving big pharma a guaranteed customer list of individuals, while simultaneously giving them immunity from lawsuits is quite the deal. Through activism and spreading the word, hopefully such a deal will not be made.